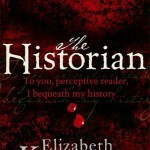 The Historian by Elizabeth Kostova — Adult historical fantasy. The Historian chronicles the search of a number of academics for the tomb of the undead Vlad the Impaler, aka Dracula. It’s the opposite of an action novel: the majority of the story is a chronicle of travels around Europe, and extracts from old books and letters. The Historian engrossed me for a good while, but it ultimately went on a bit long for me, and didn’t have the dramatic payoff I was hoping for. 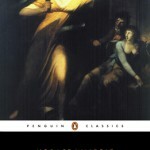 The Castle of Otranto by Horace Walpole — Gothic classic, widely considered to be the first Gothic novel. I read it years ago in university; this time around was a re-read for an online Gothic course I’ve been doing. 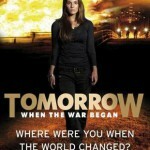 Tomorrow, When the War Began by John Marsden — YA contemporary dystopia. A group of Australian teens go camping, and on their return home discover their country’s been invaded and their families taken hostage. I enjoyed Tomorrow, but I’m not planning to commit to the next six books, so I’ve looked up spoilers so I can get closure! 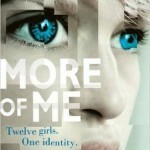 More of Me by Kathryn Evans — YA fantasy. Every year, Teva splits into two — the ‘new’ version of her taking over her life, and the ‘old’ version hiding at home with the other copies of herself. I’ve wanted to read More of Me ever since I first heard of it — what an amazing concept! The story turned out to be less sci-fi/thriller than I was expecting, but the need to understand what was happening kept me turning pages. 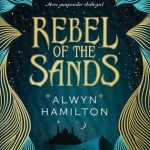 Rebel of the Sands by Alwyn Hamilton — YA fantasy, part Arabian Nights and part Western cowboy. I don’t know why I keep picking up books with high fantasy elements. I know high fantasy’s not my thing, and then I feel bad for being the only person in the world not to love a much-hyped book. Rebel of the Sands is undoubtedly well-written, so if it sounds like your thing, give it a whirl. 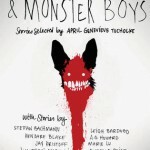 Slasher Girls and Monster Boys edited by April Genevieve Tucholke — YA horror anthology. I loved it! Almost every story in this collection was incredible. Twists and turns and clever plots, and a very high creep factor. Special favourites were the stories by Jay Kristoff, Nova Ren Suma and Carrie Ryan. My favourite read of the month. 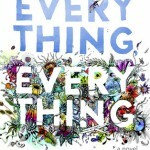 Everything, Everything by Nicola Yoon — YA contemporary about a teen girl who’s allergic to everything and isn’t able to leave her house or have visitors, and what happens when she falls for the boy next door. Everything, Everything was a quick, entertaining read. 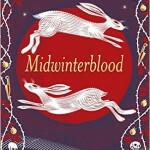 Midwinterblood by Marcus Sedgwick — Adult fantasy. Midwinterblood is a collection of stories that link, starting in 2073 and going back in time to early human civilisation. With each story we learn a little more about the novel’s overall theme. A complex, rewarding read. 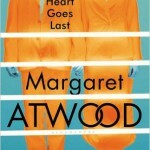 The Heart Goes Last by Margaret Atwood — Adult sci-fi. I’m a big Atwood fan. I don’t love all her novels, but I quite like that fact — she writes such varied stories, and is never predictable. The Heart Goes Last is a darkly comic dystopia, without many likeable characters, and much to say about the dark side of human nature. I enjoyed it, though it’s not a favourite. 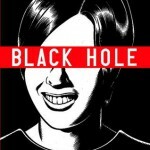 Black Hole by Charles Burns — Graphic novel; my first! My partner’s had Black Hole sitting on his bookcase ever since I’ve known him, and curiosity finally got the better of me. Black Hole‘s about an alien STD that hits teens in 1970s America, causing them to grow bizarre deformities, but it’s more about social commentary than plot-based thrills. It was originally published in instalments over a decade, and perhaps for that reason it doesn’t flow conventionally, and requires quite a lot of concentration. I didn’t love it, but I read it fast, and would definitely read another graphic novel. 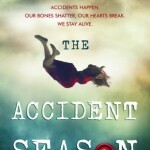 The Accident Season by Moïra Fowley-Doyle — YA fantasy. I went into The Accident Season expecting horror — after all, it’s about a family who are prone to potentially-lethal accidents every October. What I got instead was a lyrical, odd, real-life/fantasy blur that reminded me of the writing of Brenna Yovanoff or Kat Ellis. Really enjoyed it. I’ve also been reading Uncle Silas by Joseph Sheridan Le Fanu for my March #2016ClassicsChallenge read. I hope to have that finished and reviewed soon. I feel exactly the same about fantasy, but then sometimes I fall in love with them anyway so I have to read them just to find out. 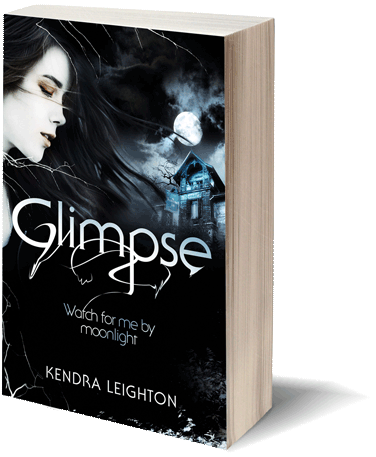 You’ve read so many books Kendra! I’m getting a bit quicker but four a month is my average. Good news about the graphic novel, I really want to read some too. I’ve read a few but a long long time ago and I feel like there are loads out there now that I’d enjoy. As for reading lots, it’s because I’ve been so busy with my day job and am racing through audio books. Ironic that the busier I am with work the more I ‘read’! And yes, feels like there are lots of exciting graphic novels out there now. Or at least that bookish people are shouting about them more! There are a couple I’ve heard a lot about and would like to read.